Russia's regional penitentiary official goes on trial for alleged cover-up of jail break | Russian Legal Information Agency (RAPSI). 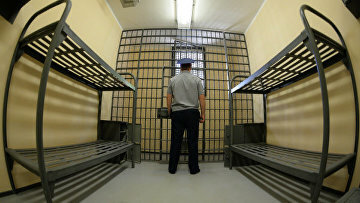 MOSCOW, January 21 (RAPSI) – A court in Russia’s Perm will hear a criminal case against Deputy Chief of the Federal Penitentiary Service’s (FSIN) regional directorate Valery Lebedev, who has allegedly suppressed a convict’s jail break, the press-service of the Prosecutor General’s Office reports Monday. Lebedev stands charged with abuse of power, the statement reads. Investigators claim that the defendant suppressed a fact of a convict’s breach of a detention center in the Perm Region in July 2017. According to case papers, the official initiated preparing of a forged report on trainings for penitentiary employees in cases of prison breaking to evade possible disciplinary sanctions.